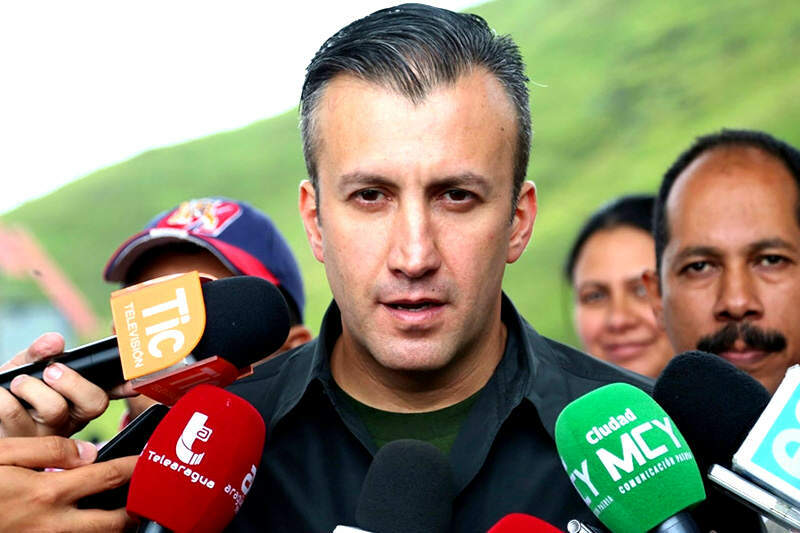 The Trump administration imposed sanctions against Venezuelan Vice President Tareck El Aissami, after years of investigation by U.S. authorities into his alleged participation in drug trafficking and money laundering. 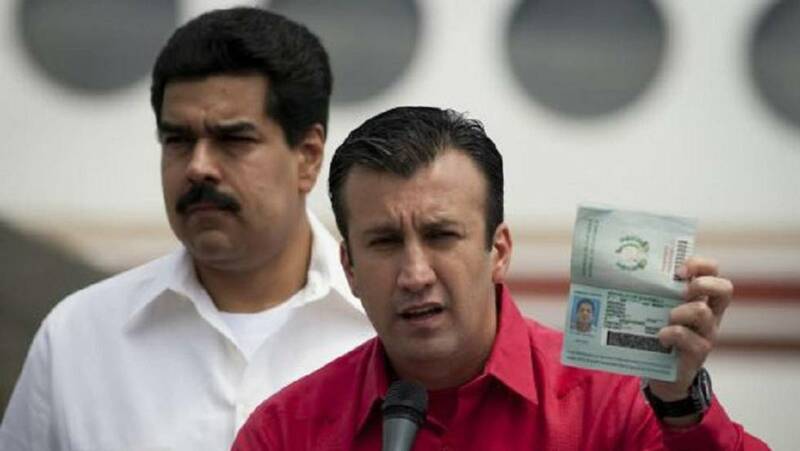 The Treasury Department announced the move Monday, 13th 2017, placing El Aissami and another Venezuelan, Samark Lopez Bello, on a U.S. list of foreign nationals with suspected ties to drug trafficking. El Aissami is the highest-ranking Venezuelan hit by U.S. sanctions and the most-senior government leader of any country on the so-called Specially Designated Nationals list, according to a U.S. official, who discussed the matter on condition of anonymity. Those listed have their assets blocked and U.S. citizens, institutions and companies are prohibited worldwide from dealing with them, according to the Treasury Department. The sanctions mark an extraordinary step against the second-in-command of a foreign government and are sure to lead to a further deterioration of U.S. relations with the government of Venezuelan President Nicolas Maduro, who appointed El Aissami as vice president on Jan. 4 amid a deepening economic and humanitarian crisis. The department also sanctioned Samark Lopez Bello, a Venezeulan businessman accused of being El Aissami’s frontman. Lopez Bello helped launder money through a network of 13 companies in the U.S., Venezuela, Panama, the British Virgin Islands and the United Kingdom. The sanctions include freezing all their U.S.-based assets, which include a twin-engine Gulfstream jet, and blocking all their U.S.-based companies and properties. The pair controlled tens of millions of dollars in Miami real estate alone, a senior Treasury Department official said, speaking on condition of anonymity because he was not authorized to publicly discuss the case. Under the sanctions, the two men are forbidden from traveling to the United States, and people in the U.S. are prohibited from conducting transactions with them or the companies they controlled. The department said he orchestrated drug shipments from a Venezuelan air base and multiple seaports, some weighing more than 2,200 pounds per shipment. While U.S. officials were gathering evidence under President Barack Obama and prior to El Aissami’s ascent to the vice presidency, action stalled until now. The designations didn’t require President Donald Trump’s personal approval, and Trump has not been involved in the discussions, according to another U.S. official, who also spoke on condition of anonymity. El Aissami, the son of Syrian and Lebanese immigrants, has long been one of Venezuela’s most controversial and feared politicians. In just over a decade, the 42-year-old climbed government ranks from a student leader in rural Venezuela, to minister of interior and justice, to his previous post as the governor of Aragua state. In the weeks since becoming vice president, El Aissami received wide-reaching decree powers from Maduro, who tapped him to lead a newly formed “commando unit” against alleged coup plotters and officials suspected of treason. In those roles, he helped convicted drug kingpin Walid Makled Garcia operate his international drug network, the Treasury Department said. El Aissami also helped coordinate drug shipments to cartels in Colombia and Mexico, the department said. Republican Senator, Marco Rubio, said similar sanctions should be enacted against other members of the government headed by Venezuelan President, Nicolás Maduro. “For years, I’ve talked about how Venezuelan regime officials are committing crimes in Venezuela, stealing from the Venezuelan people and then spending their riches in the lap of luxury in Miami,” Rubio said. “Today’s announcement further confirms how true this is.” The Treasury Department said El Aissami had a long history of running drug networks and helping drug cartels operating in the country. El Aissami has consistently denied all allegations levelled against him.